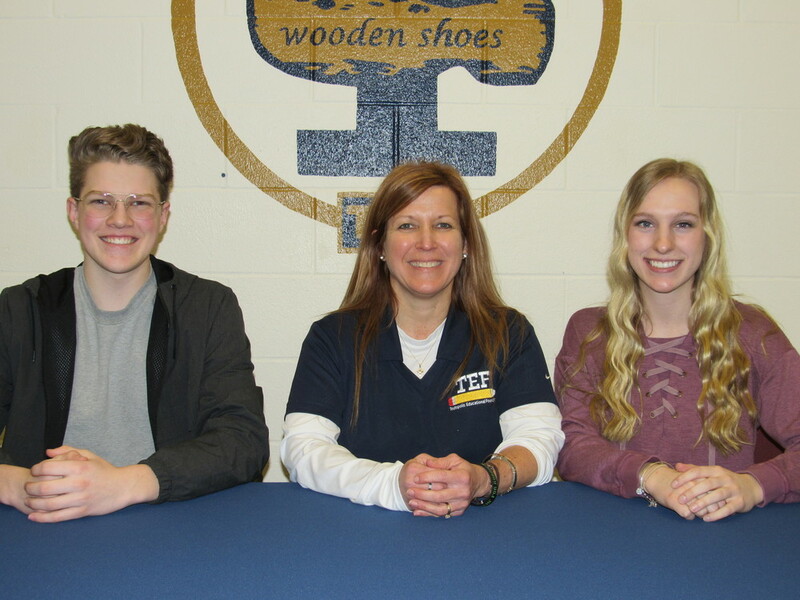 The Students of the Month for April at Teutopolis High School are Will Wortman and Marianna Hemmen. Marianna Hemmen, daughter of Tom and Pam Hemmen, is a senior at THS. During Marianna’s senior year, she led her basketball team to a 3rd place finish in the state tournament. She is involved in the CEO class, which provides her the opportunity to practice numerous leadership positions and start her own business. Marianna has participated in Volunteens (3 years), Math Club (3 years), Student Council (2 years), and National Honor Society (3 years). Hemmen has been a member of the softball team (4 years), basketball team (4 years), and cross-country (2 years). Marianna has obtained awards including being named a member of the National Honor Society and Most Improved in basketball. One hobby of Marianna’s is practicing for sporting events. She also enjoys spending time with her friends and family, including her dog Manny. Hemmen plans to attend the University of Illinois with a major in actuarial science. Will Wortman, son of Matthew and Stacia Wortman, is a junior at THS. Will is the Student Council secretary, Class of 2019 treasurer, and Eastern Illinois District Association of Student Councils vice president. Will has been involved in Student Council (3 years), Drama Club (3 years), Writing Club (3 years), and Art Club (3 years). Will was awarded Rookie of the Month during his freshman year, high honors throughout high school, the English II award his and the World History II award his sophomore year. Wortman’s hobbies include writing, reading, and photography. After high school, Will plans to attend college and study to become an English teacher. When asked what or who motivates him, Will said, “My closest friends and family”.